Dr. Sonny Goel treats cataracts at his Columbia clinic, using advanced, minimally-invasive surgical techniques. When you first develop cataracts, you may not need treatment right away. Dr. Goel will carefully monitor the condition of your eyes, and will help determine which actions you should take to maintain your vision. Contact us today to learn more. The crystalline lens is made up of water and protein. It stands behind the pupil and focuses light on the retina, which transmits signals to the brain. Cataracts occur when the proteins within the crystalline lens begin to cluster together, creating a cloudy area on the lens and preventing light from reaching your retina. These protein clusters can become larger over time, gradually obscuring more and more of your vision. The early signs of cataracts include somewhat blurred vision. You may also notice that light seems more glaring, especially at night. Some cataract sufferers also report that colors seem duller. Even for those most at risk for cataracts, however, the condition is treatable, and by working with Dr. Goel, you can restore the clarity of your vision for years to come. Mild cataracts may not require invasive treatment. A new lens prescription, or anti-glare coatings on your glasses may be enough to maintain your vision during the early stages of cataracts. Dr. Goel will most likely recommend carefully monitoring your sight before recommending any medical procedure. 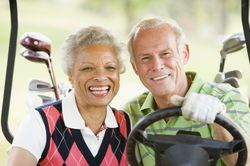 If your cataracts continue to worsen and affect your quality of life, you may want to consider laser cataract surgery. This procedure has an extremely high success rate, with 90% of post-operative patients reporting vision between 20/20 and 20/40. During the minimally-invasive surgery, your ophthalmologist will dissolve and remove the obscured lens and replace it with an intraocular lens (IOL), which functions just like the natural lens of your eye. Dr. Goel offers both traditional and laser cataract surgery, though he prefers the accuracy of the laser procedure. For more information about cataracts, including ways we diagnose the condition as well as treatment options, contact us today. We will be happy to schedule your initial consultation, in which Dr. Goel will evaluate your eyes and provide expert recommendations. He knows how important your vision is, so he will take time to answer your questions and help you understand your treatment.